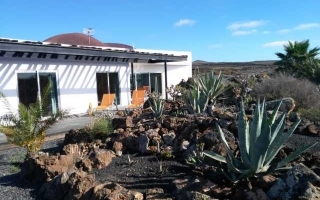 Townhouse for sale in Tamaragua, residential area 5 minutes by car from Corralejo. Very quiet area but well connected to the town of Corralejo, through buses and taxi. Restaurants, supermarket and bar nearby. Community pool, with access through key. The house consists of living room, independent kitchen, 3 bedrooms, 2 bathrooms .